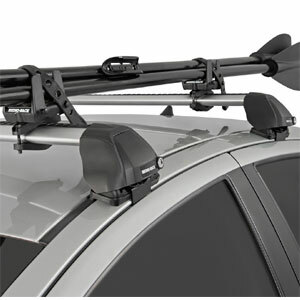 Rhino Universal Fit Multi Purpose Holder Universal Load Carriers RMPHU for Paddles, Masts, Oars are designed to carry your oars, masts, paddles, ski poles, shovels, etc. 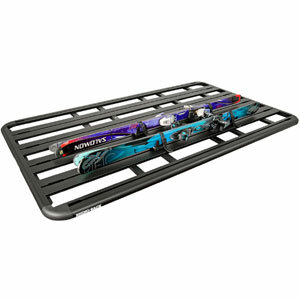 They easily hold a broad range of sizes and shapes. 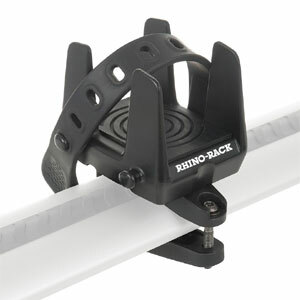 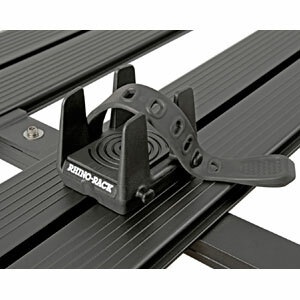 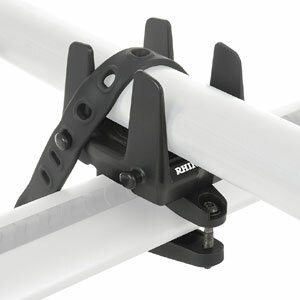 The load carrier is constructed with tough glass reinforced nylon. 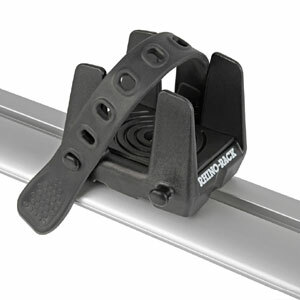 The rubber straps provide excellent grip and can be wrapped around large or small items. 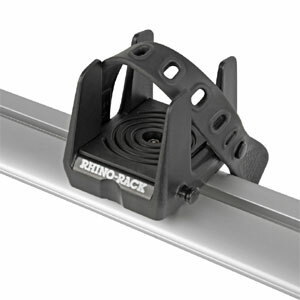 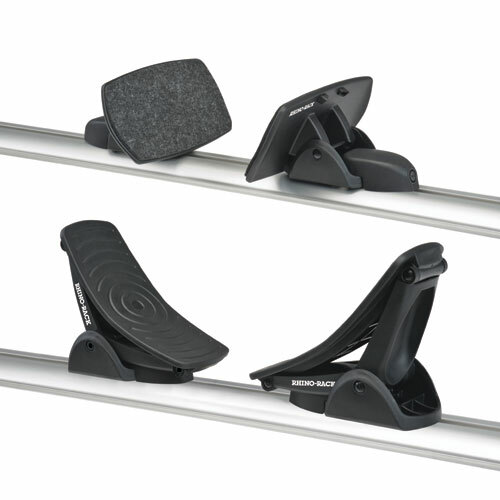 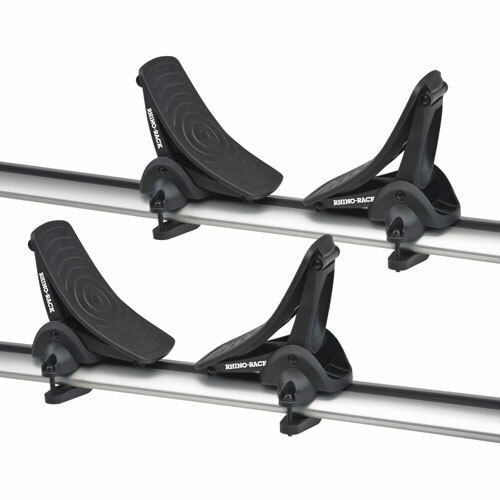 Rhino Universal Fit Multi Purpose Holders can be mounted in two different orientations, allowing you to carry items between your bars or across them. 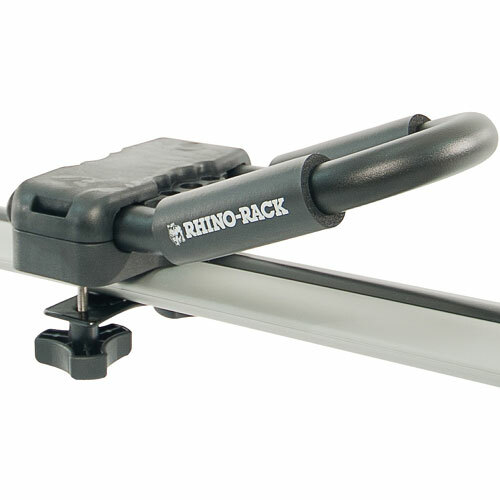 Rhino Universal Fit Multi Purpose Holder Universal Load Carriers can be mounted directly to the top c-channels on Rhino Vortex bars and Pioneer baskets/platforms, Whispar aero bars, Malone Air Flow bars, Inno Aero bars, Thule Aeroblade and Xsporter crossbars. 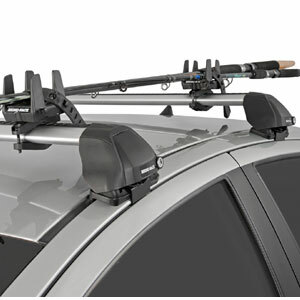 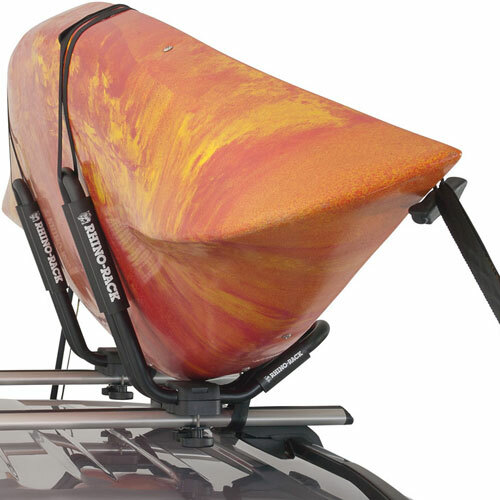 Universal mounting brackets are also included to allow you to attach the Multi Purpose Holders to most other aftermarket or factory installed roof racks. 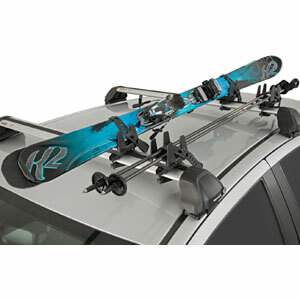 Rhino RMPHU Universal Fit Multi Purpose Holders are sold in pairs, and can hold items up to 15.4 pounds (7 kg).